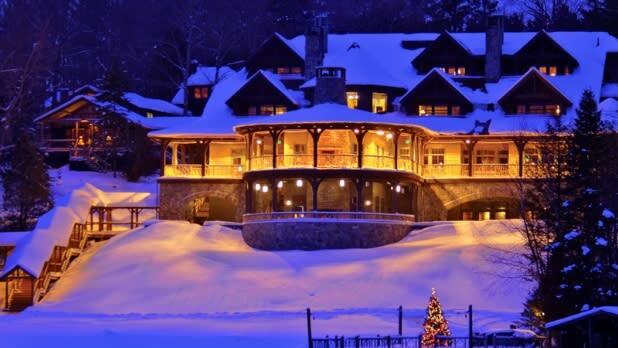 In the heart of the Adirondacks, Lake Placid Lodge embraces the rustic elegance of Gilded Age great camps. Rated a world’s best hotel by Travel+Leisure, the resort features uniquely designed rooms with plush featherbeds, stone fireplaces, deep soaking tubs, and refreshing mountain views. Windows wrap around the Treetop Suite, a luxe hideaway high in the pines with a twig-thatched king bed. The romance package offers sumptuous dining for two, the classic sparkly and chocolate-dipped strawberries, and a late check-out. Passionate skiers love the stay-and-ski packages. 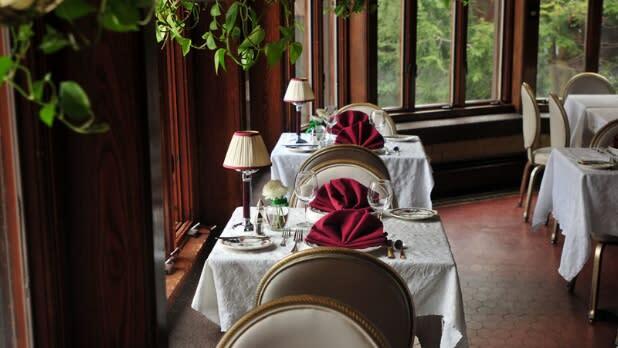 Live beyond your dreams at Mohonk Mountain House, high above the Hudson Valley. Rooms in this grand Victorian castle feature wood-burning fireplaces and soul-stirring views. Special Occasion packages celebrate with wine, flowers, and breakfast in bed. After that, decide if you want to ski pristine trails, frolic in the pool amid treetops and underwater music, or glide hand-in-hand at the ice-skating pavilion. 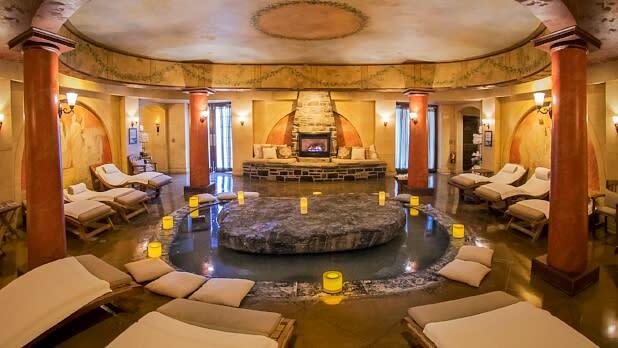 Find more bliss in the spa that inspired Conde Nast Traveler to rate Mohonk America’s No. 1 Resort Spa. It’s love at first sight. 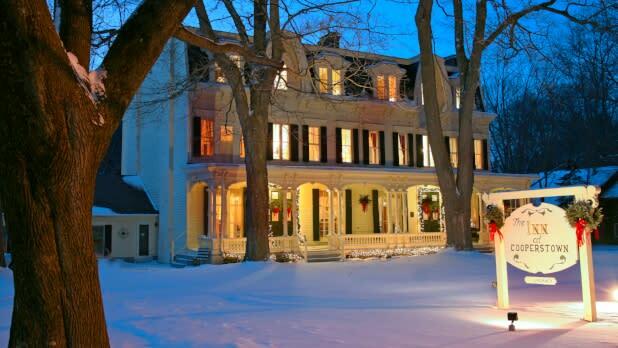 Character meets charm at the Inn at Cooperstown, designed by the same architect as NYC’s Plaza Hotel. The Select Registry property invites romance amid stunning rooms and suites. It’s a short walk to America’s best-loved main street, with delightful shops and restaurants, and a quick trolley ride to the Fenimore’s captivating art. Take your main squeeze to explore Cooperstown’s main attraction: Hot winter packages include delicious breakfasts, souvenirs, and a unique opportunity to tour the Baseball Hall of Fame as VIPs. Nestled amid the snow-covered Catskills, the Roxbury delights with fine-linen luxury and whimsical fun. Themed rooms inspired by 1960s and ’70s TV series create fantasies, from dreams of magic genies to cavemen (à la Fred & Wilma). If you’re trying to light a fire or rekindle a flame, the Rad Romance package features champagne, gourmet cheeses, and exotic flowers, plus a couple’s massage and chill time in the Shimmer Spa. Bonus: It’s near Belleayre Ski Resort and other winter activities. Write your own fairytale with a stay at Belhurst Castle. 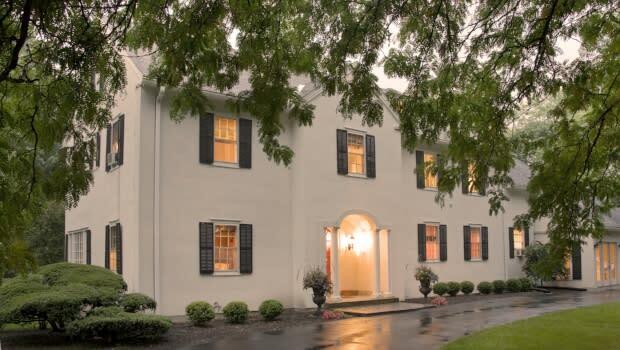 On sparkling Seneca Lake in Finger Lakes wine country, the 1880&apos;s stone castle and winery was named a top 10 small romantic inn by ShermansTravel. Guestrooms have dreamy four-poster beds, stained-glass windows, marble fireplaces, and enchanting lake views. Toast to togetherness with wine from the complementary spigot or partake in spa treatments and the chef’s six-course food and wine pairing for two. The Sweetheart package celebrates romance with roses, chocolates, and fine wine. The lush décor of 10 Fitch happily marries antiques with fanciful furnishings like cushy overstuffed armchairs from nearby MacKenzie-Childs’ studio. Explore magical Finger Lakes landscapes via skis or snowshoes, visit Auburn’s historic sites or cozy up by the blazing fire with a local wine or Sally’s home-made cookies. Dream-come-true Valentine’s Day (or any occasion) packages ignite sparks with chauffeured winery tours, candlelight dinners, whirlpool baths, and silky lavender-scented linens. Wake to tantalizing breakfasts delivered to your suite so you can sleep late and eat in your fluffy spa robes. Near the storybook village of Skaneateles, Mirbeau Inn & Spa evokes old world charm in Finger Lakes Wine Country. Rooms in the chateau-style inn have cozy fireplaces, over-sized soaking tubs, and cloud-soft beds with down comforters. 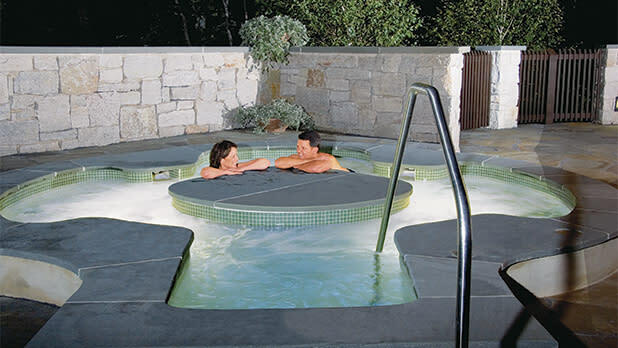 The centerpiece spa has pools, waterfalls, and services like a Blushing Valentine couple’s massage that promises to leave you relaxed and radiant. Romance packages include fine French cuisine, massages, and rose petal turndown. 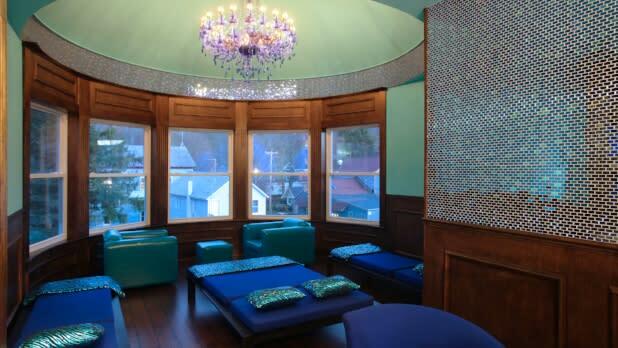 Condé Nast Traveler rated Mirbeau one of America’s top 20 small resorts. 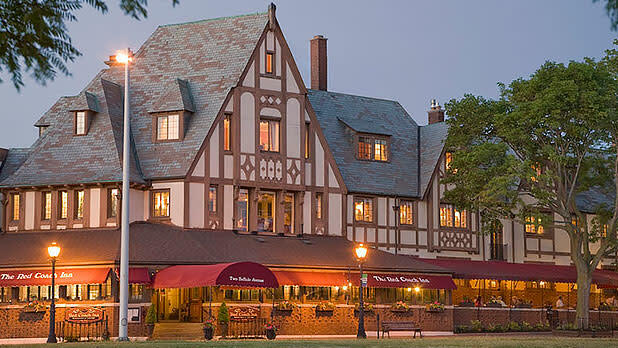 Overlooking the majestic upper rapids, 500 yards from the brink of Niagara Falls, the inviting Tudor-style Red Coach Inn charms with warm English country ambiance. Winter romance packages set the mood with rose petals scattered throughout your room, champagne, chocolates, and a tempting menu for fireside dining in the award-winning restaurant. Nearby, Niagara Falls State Park, even more magical in winter, beckons with frosted trees and glistening ice flows illuminated in rainbow colors at dusk.